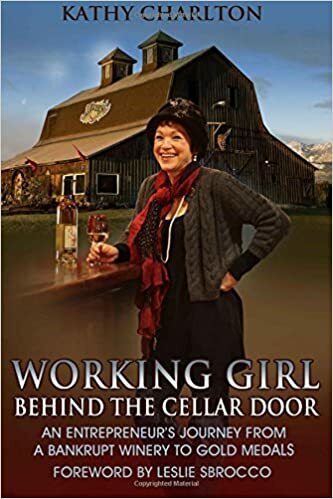 With my trusty flip video in hand, my plan is to chronicle what it's like to be the winemaker and a Working Girl at Olympic Cellars over the next few months. To start it off, I took a video of my garage, the portal to my home office. For me this is where each day begins before I go to the winery or travel to promote our wines. Then I will take you behind the scenes of one of the oldest wineries in Washington. Benoit, our winemaker, will take us through the winemaking process from grape to bottle. You'll experience a day behind our bar and visit with our guests, throw a harvest party and grape stomp, attend a winemaker dinner and finally enjoy some wine with the Olympic Cellars team at the end of a long busy day... Benoit, Molly, Lisa and me. So stay tuned for this documentary of a artisan, full production winery in Washington on the Olympic Peninsula.